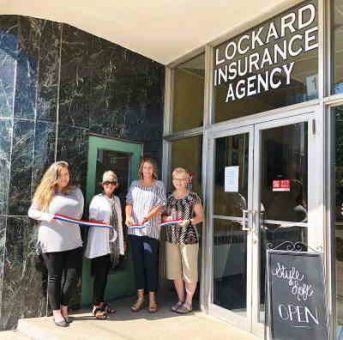 Founded in 1926 by Arthur Lockard, Lockard Insurance Agency, Inc. has been serving the personal and business insurance needs of Ohio individuals and businesses for many years. The current owner, Wendy Henry, joined the agency in 1998. We are also members of the Professional Insurance Agents of Ohio. The companies we represent are some of the finest in the industry. We are a full service insurance agency with over 2000 clients that includes family accounts and commercial clients. Service is what we sell. We are always available to help with any insurance need or question. Our mission is to treat each client like a family member. We want you to have a positive overall experience with Lockard Insurance Agency, Inc. Our one on one service approach is our #1 goal for all our insurance clients. Give us a call at 740-384-2020 or contact us through one of our quote forms, and we'll be happy to answer any of your insurance questions. Wendy has been in the agency for 18 years. She purchased the agency from Peggy Shumate in 2013. She has been in the insurance industry since 1989. Nancy joined the agency in 2003. Stephanie joined the agency in 2015. She answers the phones for us, and processes payments for you. She hopefully will become a Licensed Agent soon! Peggy has recently retired after being with the agency for 42 years.